Farel Dalrymple wants you to keep May 11 cleared on your calendar. That's because the creator is teaming with Image Comics to release Pop Gun War: Gift on that day. Pop Gun War: Gift (ISBN 978-1-63215-773-7) hits comic book stores Wednesday, May 11th, and bookstores Tuesday, May 17th, and will be available for $14.99. It can be ordered by retailers with Diamond code MAR160645. 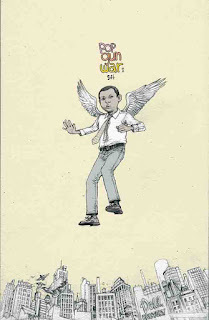 Pop Gun War: Gift is about childhood, self-discovery, oppression, guilt, dreams, loneliness, whatever—and an inner-city boy named Sinclair, who discovers a pair of discarded angel wings. With these wings, Sinclair flies around the city and gets into adventures. Full press release below. 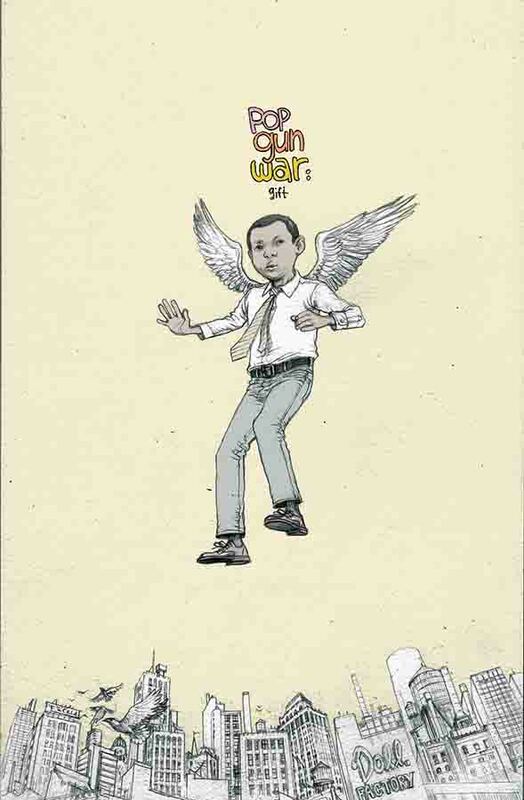 Critically acclaimed writer/artist Farel Dalrymple (The Wrenchies, It Will All Hurt) will release a new edition of POP GUN WAR: GIFT this May. POP GUN WAR: GIFT (ISBN 978-1-63215-773-7) hits comic book stores Wednesday, May 11th, and bookstores Tuesday, May 17th, and will be available for $14.99. It can be ordered by retailers with Diamond code MAR160645. It can be preordered now on Amazon, Barnes and Noble, Indiebound, and Indigo.